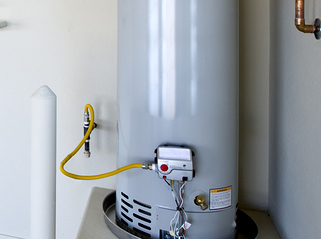 There are several clues your water heater could be giving you that you may have simply overlooked. A perfect example of this is making noise. Sure your water heater may have made noise from the first day it was installed, but if you hear a dramatic change in sound or increase in hearing the sound you should contact your plumber quickly as that is definitely a sign that something more is going on with your water heater even if you do not want to admit it. Another warning sign that your water heater needs to be replaced is if it has suddenly stopped producing enough hot water for your household. This can be shock especially if your water heater is fairly new and has had no prior problems regarding water temperature and how fast it is produced. Another sign of a water heater that is in need of repairing is if it is taking longer than an hour to produce hot water. You may wonder why this is such a big deal, but even the biggest water heaters only take an hour to heat all of the water stored within the tank. If your water heater is experiencing any of the above mentioned problems you should contact your local plumber today to set up an appointment to have Water Heater Repair in Phoenix AZ before it has failed all the way leaving you with no way to get heated water within your house. These are extremely common problems so do not hesitate to call today!